If you run a website or blog, it’s really important you use original and high-resolution images. Using high-quality imagery will help to give your site trust and credibility from those who visit it. However images are not only important for your website, they are also important for using on social media. The importance of visual content on social media cannot be understated. For example, according to a study carried out by Social Media Examiner in 2016, 74% of social media marketers use visual assets in their social media campaigns, with a further 37% citing visual marketing as the most relevant type of content for their business. However, when searching for images to use online you will often find that many of them have to either be purchased, are low resolution, are pixelated, are too small or are copyright. How often have you got stuck with the dilemma of having to find images for your website but the only ones you can find have to be purchased or are copyright? 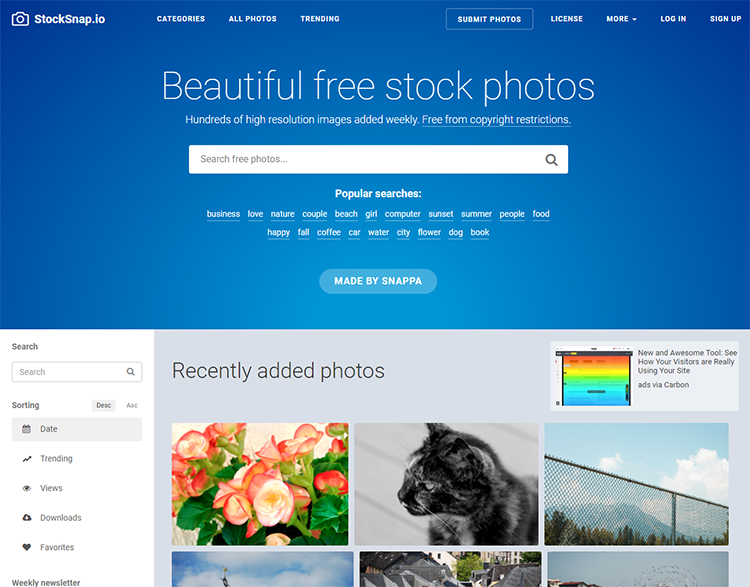 To solve this conundrum, we have compiled a handy list of the top 7 sites where you can find free stock images. This site is pure sophistication. 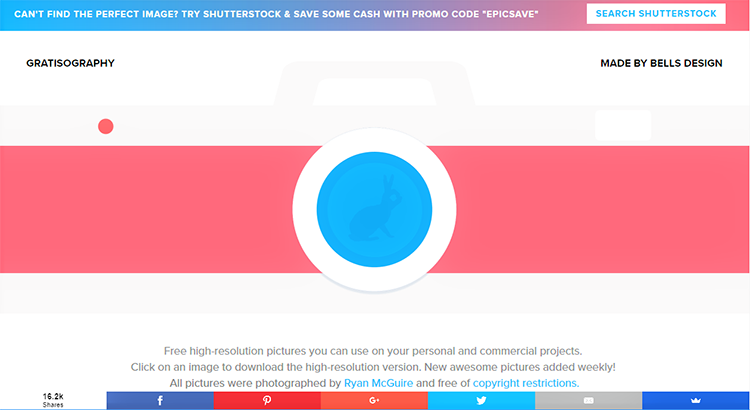 All the pictures were taken by the creative visual artist Ryan McGuire and are high-resolution and free for your personal use in your projects. This site offers pictures classified by animals, nature, objects, people, urban and whimsical themes. If you like what he does, you can buy him a cup of coffee or send him a donation via PayPal. 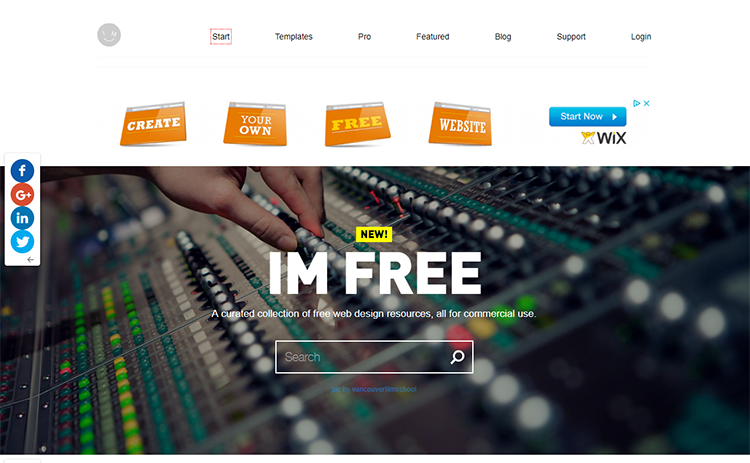 This site doesn’t only offer images but web design resources for commercial use. Such as fully-responsive templates for completely free. This site offers pictures falling into the categories of fashion, technology, food and drinks and sports, among others. 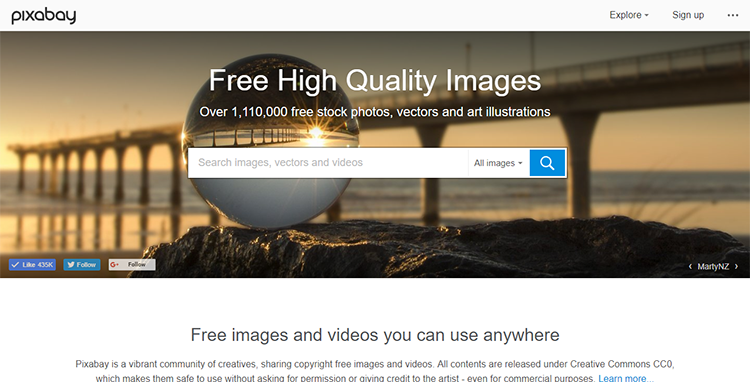 Pixabay is a free image stock website, which not only offers copyright free images but videos as well and all of them under the Creative Commons CC0. So you don’t need to ask for permission to the artist (even for commercial purposes). What stands out on Pixabay is their category for vector graphics where you can find creative and colourful images for your blog posts. 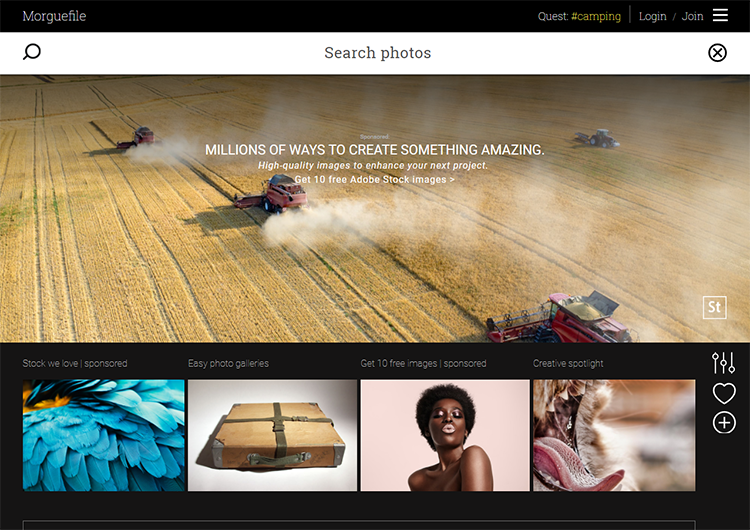 This site has over 2.5 million pictures and it is the number one online image resource for users of social networks. You can download more than 600 images or pay some extra money for a whole package including similar pictures but with a different format. 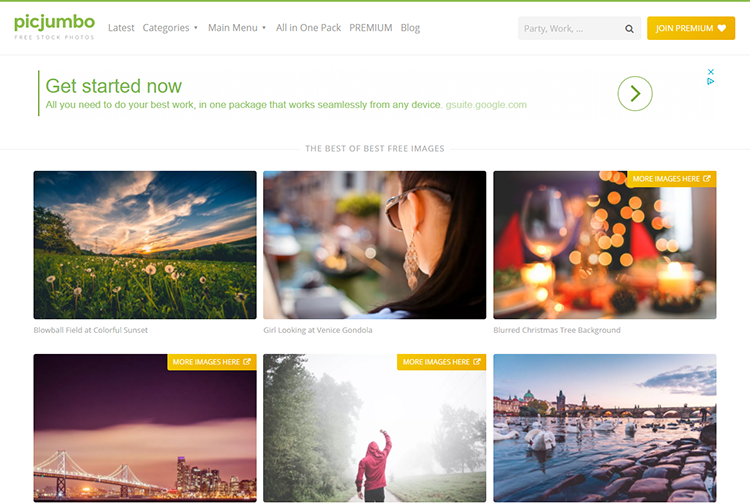 Here you will find a wide variety of picture themes including roads, transport and abstract art. This site offers high-quality images for free with only one requirement, you have to mention its author in your publication. What makes this site very attractive is that you can see the profile of the photographer, how many times the image has been viewed or downloaded and even leave comments about their work. This site offers free pictures for personal and commercial projects with the peculiarity that you can filter them by category, colour and position of the objects. You can view their latest updates from their Instagram, Facebook and Twitter pages. 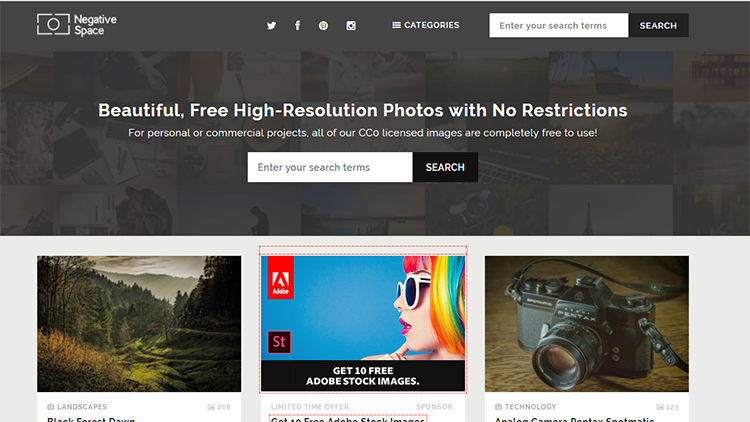 This is one of the most popular stock image websites for bloggers and marketers as you can download free copyright pictures by date of publication. trends, number of views, downloads and keywords. Finding the right image for your blog, site or social media channel can be a chore, not least because most images are copyrighted. I hope that you can find this list of sites useful and if you need a few more to have a quick look at, feel free to check the list that we previously published on our blog here. Want to freshen up your online marketing? Get in touch with the team at Marketing Signals today and see how we can help take your online business to the next level.